From a lovely artisan bakery, Bread By Bike, this was made yesterday. 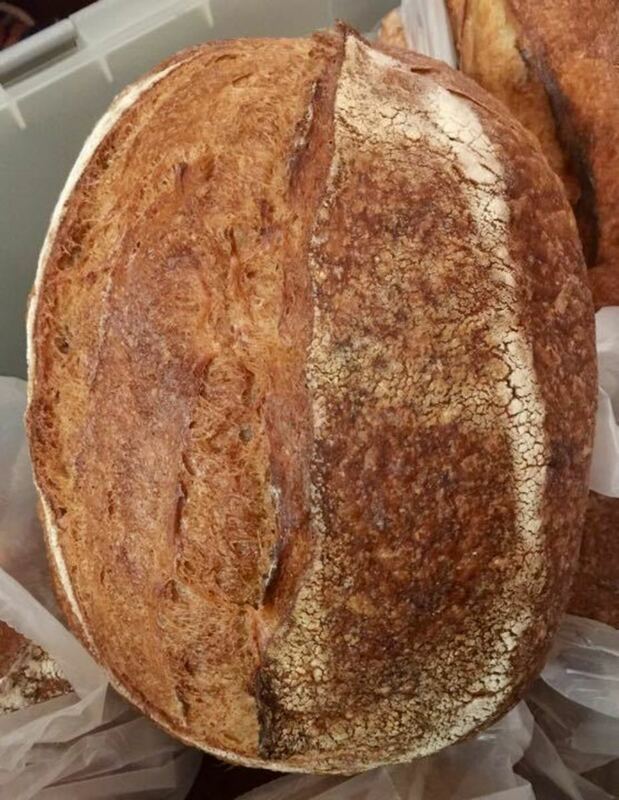 It is their large Classic Sourdough, made with a mixture of organic wholemeal and white flour. It is fermented for 48 hours to give a chewy crust and springy centre. You can collect between 9 and 10 tonight or possibly tomorrow, but priority will be given to people who can pop round today. Please bring your own bag or container – thanks.